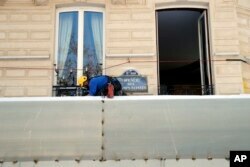 A worker sets up protections on the famed restaurant Fouquet’s of the Champs Elysees, in Paris, March 22, 2019. 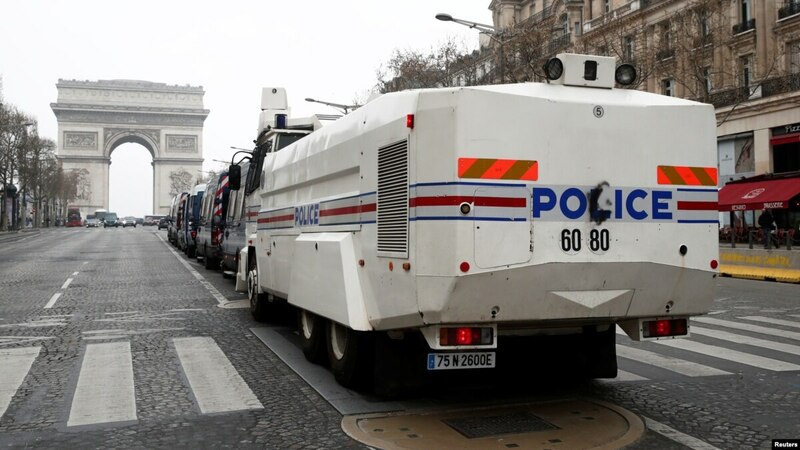 French President Emmanuel Macron has announced that soldiers will be deployed across the country to help maintain security during yellow vest protests. The protests started in November to oppose fuel tax hikes but have expanded into a broader rejection of Macron’s economic policies, which protesters say favor businesses and the wealthy over ordinary French workers.